As older kids head back to school, parents with younger ones at home are looking for new learning experiences to support their kids' development. And many are pulling out their iPads. Thirty-nine percent of children age 2- to 4-years-old have used an iPad, iPhone or similar touch-screen device to play games, watch videos or use other apps, according to a survey last year by Common Sense Media, a San Francisco-based nonprofit group. "We know from our own experience that an iPad can be a really meaningful teaching tool for kids, if used the right way," said Wee Society co-founder Jill Robertson. "We designed the book app Wee Alphas for parents and preschoolers to use together. It's about creating an experience that's fun for both kids and adults. Fun first, and learning follows." 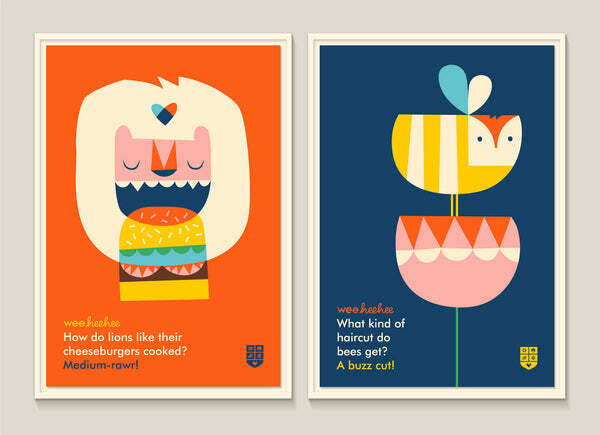 With Wee Alphas, each letter of the alphabet is hidden in clever, colorful illustrations of animals that feature silly rhymes. A sketchpad encourages kids to practice drawing their own "special letter." Wee Society collaborated with indie rock band Rabbit! on the sound effects and music that kids love and adults won't mind listening to again and again. The app also includes a guide to help parents create teaching moments while using Wee Alphas with their kids. Apple named Wee Alphas on its list of New & Notable apps in the education category; and KinderTown, the respected "educational app store for busy parents," selected Wee Alphas as "an outstanding app for home and school." In their review, KinderTown added that the app "combines incredible design with a solid understanding of how kids learn."